Inside: Taking a road trip with toddlers and babies is intimidating, but it can be done. 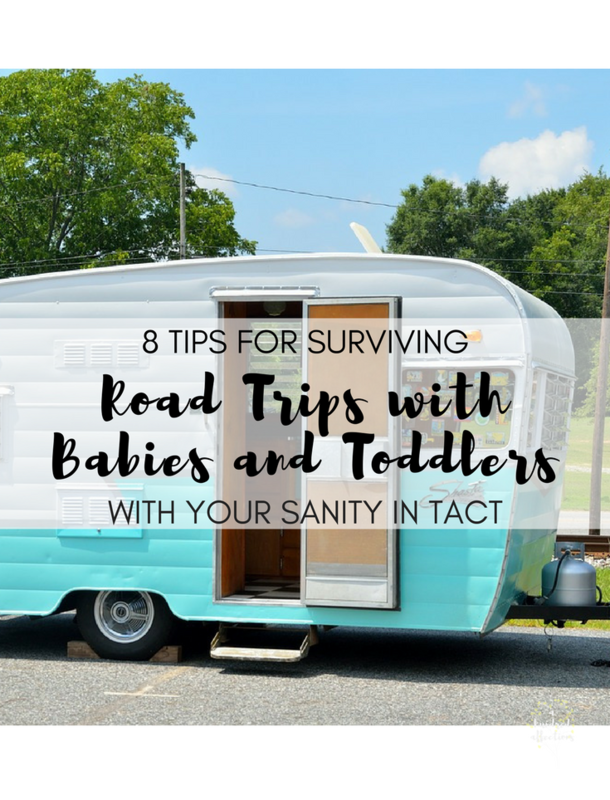 Practical tips and advice for surviving a road trip with the little ones without losing your sanity! 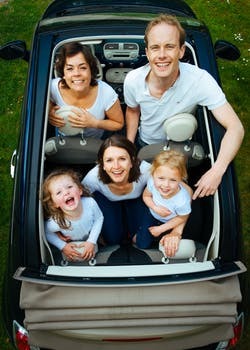 When my husband and I took our first road trip with our twin infants, 7 months old at the time, we were naive, unprepared first-time parents who had no idea what they were getting into. “Let’s a take a 3-week road trip with our twin babies from New York to Tennessee to Florida and back!” we said. “It’ll be great!” we said. Well, in the end, it really went surprisingly well. Three exhausting weeks of travel, staying overnight in 8 different locations, we learned that, at that age, our kiddos were fairly adaptable. 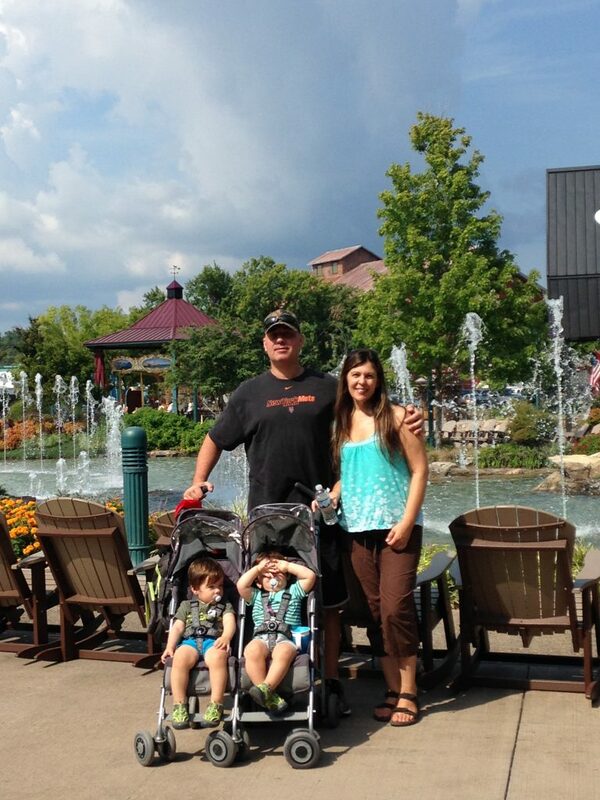 We took another road trip with them to Tennessee the following year, when they were about 18 months. A different kind of challenging, but we all made it home unscarred. For the most part. If you all survive, well, mission accomplished. This one step earns you top dollar in dividends. As much as you can, plan ahead. Plan out food and snacks for the car. Plan out if you are having fast-food for lunch or eating sandwiches at a rest area. Have a plethora of toys and entertainment within arm’s reach. Have diapers and wipes close by so you can grab them in an instant. If you are stopping overnight before reaching your destination, have an overnight bag packed for you and the babies. Pack that last for easy access. As much as you can, think through all of your needs between home and your destination and plan for it. 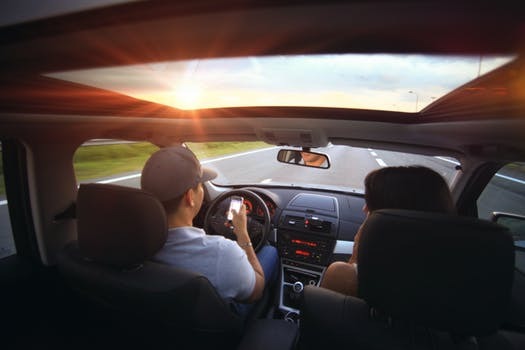 2| While traveling, as much as possible, stick to their schedule. Of course, you won’t be able to control so many aspects of traveling, but as much as is in your power, keep them on schedule. Normally, we like to hit the road early, but we decided to leave a little later, around their first nap time. We knew they would be in the car a long time, so we gave them some time to play and wiggle and eat a good breakfast before we hit the road. Try to plan gas and food stops simultaneously, and if possible, to coincide with their meal times also. There were times when we stopped to eat but didn’t necessarily need gas. Well, the boys fell asleep after lunch, and then when we had to stop for gas, they ended up waking up. This isn’t fool-proof. Your kids will probably end up falling asleep in the car at weird times, but they should bounce back once you reach your location. 3| Be ready to do LOTS of car-entertaining. The first time we traveled with our little guys, I probably spent half the trip turned around, digging through bags of toys and snacks, and reaching to give them whatever they needed to settle them. About two weeks into our trip, I threw out my back due to all those contortions over the front seat. Not fun. When we traveled again with them a year later, I opted to sit in the back. It was uncomfortable and squishy to be sandwiched between their two carseats, but it truly was the lesser of the evils. It was much easier to cut-off any unpleasantness before it became a full-blown tantrum. And I think my presence was a comfort to them. So, I sat in the back, handing them toys, reading them books, singing them songs, giving them snacks – whatever I needed to do to keep those little toddlers content. Traveling is hard on them too, and sometimes, they are just so unhappy, there’s not a lot you can do. However, here’s one trick that worked for us: if they were inconsolable, we would roll the windows down for a little bit. Somehow, the combination of the hearing and feeling the wind would distract them enough to calm them down. And whiles it’s not my diversion of choice, DVD players are ah-mazing. Desperate times call for desperate measures. You won’t look this happy on the road. Trust me. 4| Plan to stop traveling early. We learned this one the hard way. Typically, when we road-trip, we like to get in a good, long day of driving, covering as much road as we can, as fast as he can (notice I said ‘he’ there. He likes to get there as fast as he can). We tried to do this on Day 1 of our trip, and it was a disaster. We pushed the boys too far, kept them in the car too long, and we were in a full-on meltdown times 2 by the time we reached the hotel. Getting to the hotel and checking in can be the most stressful part of the trip if the babies are on the edge. Trying to check in (which may or may not go quickly and smoothly), getting the luggage up to the room along with unhappy babies does not equal a good time. Take my word for it. Our boys usually ate dinner around 5 or 5:30, so that meant we needed to get to the hotel between 4 and 4:30. We knew if we pushed it any further, we’d have a mess on our hands. And yes, you can do the math…we really only got in 5-6 hours of actual travel time. What might normally take you one day could take a bit longer. Also, another good idea is to have their dinner ready – whether you have baby food or need to get to fast food or take-out. Try to take care of that before you check into your hotel. 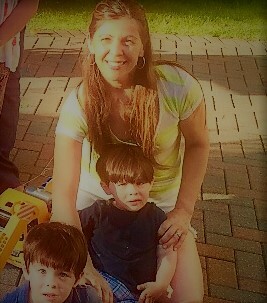 For us, I would feed the boys in the room, and my husband would run out and find dinner for us. After a long day of traveling, we were not courageous enough to eat out. Getting to the hotel early also gave the boys a chance to move around and unwind before bed time. That equals good sleep for everyone. 5| Plan your overnight stop while on the road. Ok, I know this sounds counter-intuitive and the exact the opposite of #1, but this worked really well for us. Here’s why: it was really hard to know when we were going to be stopping for the night. Traffic could set us back. The boys could end up crankier way before the witching hour, requiring us to stop sooner. If we had made reservations at a hotel in a city where we thought we would be, likely, we would have had to push the driving and push the boys well past everyone’s comfort zone. So, there’s a magical little app that you’ve heard of, and it served us well every time. Priceline. I know there are lots of hotel apps, but Priceline seemed to have better deals on last-minute reservations. And, they also do that thing where you get a really good rate, but they don’t tell you the hotel. I know, that sounds risky, but they tell you the names of comparable hotels – so that way, you know if you are getting a Motel 8-kind-of-place or a Hyatt-kind-of-place. Using Priceline allowed us to get way nicer hotels than we would have if we had just used another site. So, when we thought it was stopping time, about a half- hour before, I would look at the map and see what city was within range. Then, I’d go onto Priceline, find the hotel we wanted, book my reservation on the road, in the car. We’d pull up to the hotel minutes later and have our room. It has worked for us every time. 6| Think about everyone’s comfort at the hotel. Traveling with kids is exhausting. Chances are, everyone is going to be tired and grumpy. Try to plan for that. For the babies, give them time to unwind. Take them for a swim before bedtime, if your hotel has a pool. Go for a walk around the grounds in the stroller. As for sleeping, if possible, bring your own Pack-and-Play. So much better (and cleaner!) than the ones the hotels have. They will be much more comfortable in a sleeping environment they are used to (Try a few naps prior to your trip if they aren’t used to their Pack and Play, to get them used to it). And a quilted sheet made for Pack-and-Plays is a game-changer! Get one, for sure. So much more comfy (We use this quilted sheet and love it!). DO NOT forget the noise machine! I wouldn’t skip this, even if you don’t use them at home. Here’s why: you all will be sleeping in the same room, in very close proximity to each other. That noise machine is golden for drowning out all kinds of sounds and movements. Even if your babies usually sleep in your room and are used to you, there could be noise in the hall or next door. It’s so helpful when you need to dig through suitcases or shuffle around in the room. And it drowns out that godawful hotel toilet flush that sounds like a rocket launching. (The Conair Sound Therapy Sound Machine is my favorite and the one we use. It gets nice and loud!) There are some great, free, white noise apps if you don’t have a machine. Also, don’t forget – one of you needs to stay in the room with the baby when he or she is sleeping – which means that it could be an early lights out. You just might be tired enough to crash, but watching the TV probably isn’t an option. Plan to bring a computer or tablet with earphones to keep you busy. Maybe you and your spouse can trade off baby-duty. One can go to the pool or go downstairs to watch TV and then swap. Or maybe you just turn in early and get that long night of sleep you have been salivating over. Either way, be prepared for how those close quarters will impact you at the hotel. 7| Plan for a safe and pleasant environment once on site. I have two words for you here: duct tape. This worked wonders for us! It’s so handy for taping cabinets shut, hanging blankets over windows, emergency repairs for toys and just about anything. Make sure you bring a roll or two! If your littles are mobile, baby-proofing is challenging. If you are staying with family, ask them to do this in advance. 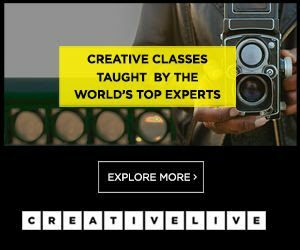 Think about what might travel easily – outlet covers, doorknob covers, etc. Once you arrive, start baby-proofing immediately! Little ones have a radar for finding the most precarious situations in 5 seconds flat. Be aware of things you may not have at home, such as access to balconies. Really give your new living quarters a good sweep to scope out potential dangers. You may want to think about bring a baby gate along with you, especially if you know you have stairs. We have this Safety 1st Pressure Mount Gate at home, and it worked perfect for us. It’s lightweight, travels well, and is easy to set up. Another thing to look at is your sleeping environment. Scope out the best sleeping arrangements for your little ones. Is the room too light for naps? Are you in a different time-zone where it’s lighter at bedtime (or wake-up time)? We usually brought extra blankets to cover windows in order to darken the room. Do you have to walk through the room while the babies are sleeping to use the bathroom or step out on the balcony? On our second trip, we realized it wasn’t working for all of us to be sleeping in the same room. One of my sons would be up all night long, standing in the Pack and Play, patting my arm while I slept (or didn’t sleep). While he was quite adorable, nobody was getting sleep. So, my husband and I ended up giving the room to the boys and sleeping on the pull-out couch. Told you – not really a vacation. It’s not going to go perfectly. You just gotta roll with it. For us, it hit us pretty quickly that we weren’t going to be able to “vacation” like we used to. Your babies might be off from being out of their routines and environment, and they might not adjust as easily or quickly as you would like. You might not get to do and see everything that you had hoped. That’s just “vacationing” with little ones. For us, it just made more sense for us to work around what the babies needed rather than to try to drag them along for everything we wanted to do. Our excursions were late in the day due to naps, and they were short, knowing we had to be back by their bedtimes. We learned pretty quickly that tired, cranky babies are no fun on a “vacation,” so keeping them well-rested was priority number 1. We also weren’t prepared for having to be ‘in for the night’ around 7:30. Yes, we do that at home, but we didn’t really make the connection that we wouldn’t be able to go out after bedtime. Bring games, movies, whatever you think will keep you entertained and happy while the littles are sleeping. It’s probably fine to push them past bedtime for a night here or there, but I wouldn’t recommend doing that too often. They already have so many unfamiliar sights and experiences and places they are absorbing; keeping that sleep consistency can help them over those hurdles. This is really us. My son’s face says it all. Well, we survived our trips. Battle-weary and a bit scarred, but we made it. Truth be told, I was totally exhausted by the time we were done and glad when we were home again. I know that sounds awful, but I’m pretty sure I’m not alone in this. Plain and simple, it’s just hard to travel when our kids are little. Even though I’ve sworn off any more traveling with the boys until they are 3 years old and done with naps, I’m still glad we did it. We made so many memories, our boys got to spend time with their grandparents and great-grandparents, and all that effort and stress were worth it. It definitely helps preparing yourself in advance for what you’re in for. Just know, it probably won’t be a relaxing experience for you. But after you have kids, who relaxes anyway? 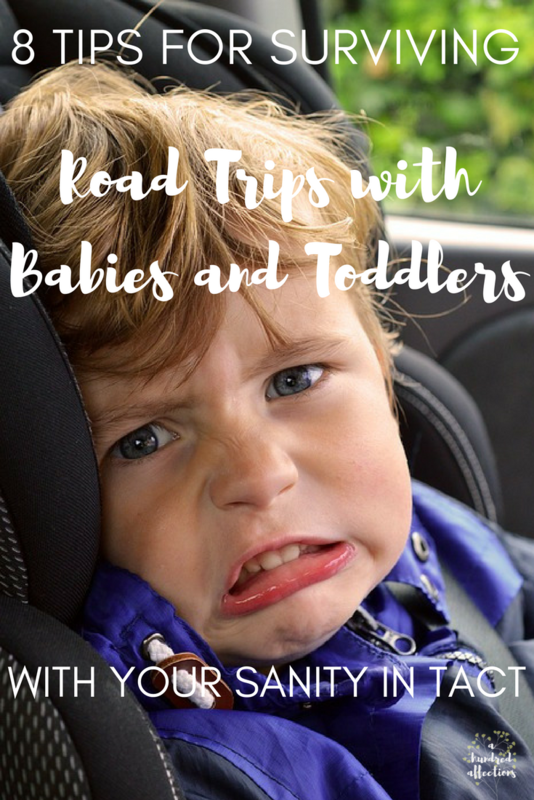 You have to go into your trip knowing road-tripping with your babies and toddlers will be different than any other kind of traveling you and your spouse have done together. And that’s OK. It’s a new normal, but it’s only for a season. You will survive it. For better or for worse, they won’t be this little for long. Enjoy your trip! It won’t be like a vacation in your pre-children days, but these memories will keep your heart fueled for a good, long while. 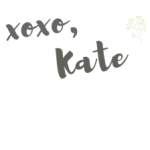 Sucha a great blog post! Thank you for the tips! Wow Peter and I were just talking about this after our annual road trip we go on. How are we going to do it when we have kids? I like where you said stick to their schedule. Great tip! Thanks for sharing your experience and practical tips! I want to travel more and we have a 10 month old, so I'll keep this in mind!